Running a popular Adventure Farm is one thing – but taking on a truly scary personal challenge is quite another. But that’s what three members of the Lewis family, who run Clerkenhill Adventure Farm in Pembrokeshire, are doing later this year to raise funds for charity. Fundraiser for Pembrokeshire Sibling Group. Dawn Lewis, owner of Clerkenhill and her two daughters, Heather who is manager of the farm, and Poppy, will be skydiving to raise money for the Pembrokeshire Sibling Group. The skydive is set for September 13th and the three brave women are launching their appeal for sponsorship now. The Pembrokeshire Sibling Group has been going for 15 years. It was started by a group of people who realised that there was no support for the siblings of disabled and special needs children. When there is a special needs, disabled or seriously sick child in the family this often creates stress and anxiety in the other children in the family, so the charity offers respite to the siblings in order to relieve the tension. 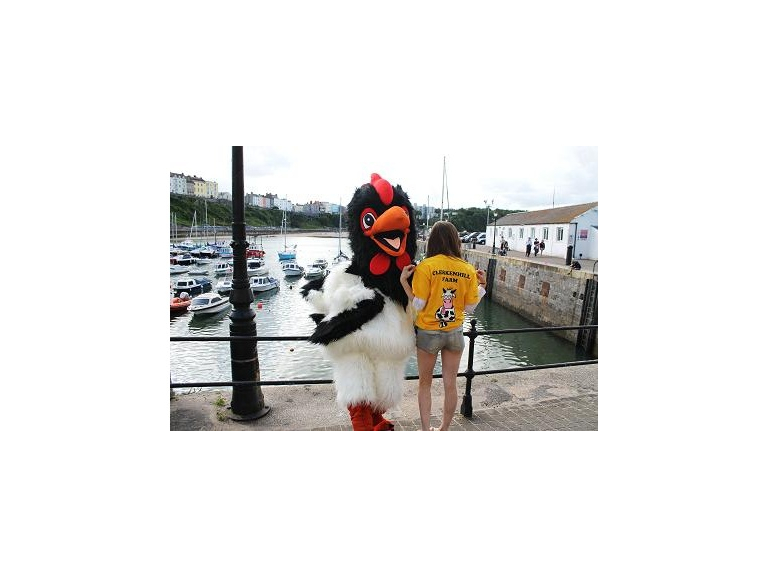 Pembrokeshire Sibling Group provides support to children and young people aged from seven to 18 years. There are monthly day trips and a fortnightly drop-in club. Residential trips are run three times a year. Workshops provide a base where the siblings can get together with other children and young people who experience similar situations to themselves. The ultimate aim of the charity is to ‘put the childhood back into the child’. As a family that runs an adventure park Heather Lewis, together with her mum Dawn and sister Poppy, wanted to do something truly adventurous to raise money for this worthwhile charity. They have already set up a huge variety of activities at Clerkenhill to keep kids of all ages entertained all day long. It’s a great day out for all the family and is one of the top attractions in the county. The youngsters can tumble down the amazing tube slides, enjoy a fearsome trail through the spooky wood, go on a boggy walk, find the bears, or pedal go-karts. The adventure castle has wobbly walks, lookout towers, hideaways, slides and ladders. The 18 hole Frizbee Golf Course is set in 10 acres. And the animals at Clerkenwell are always a great attraction. Clerkenhill Adventure Farm is open daily 10am to 5pm. To see the businesses in our Tourist Attractions section, please click here.